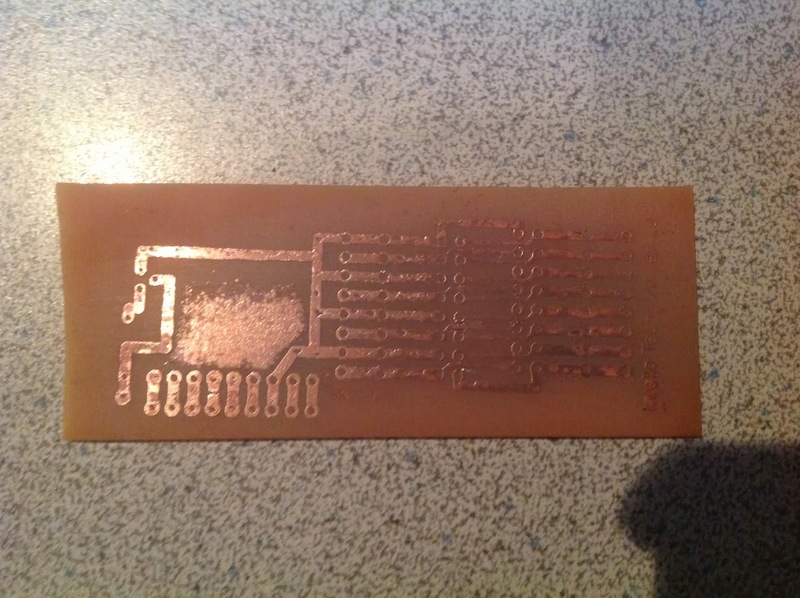 Thermal transfer was pretty good, but did not let it etch long enough so that it's a big short everywhere. 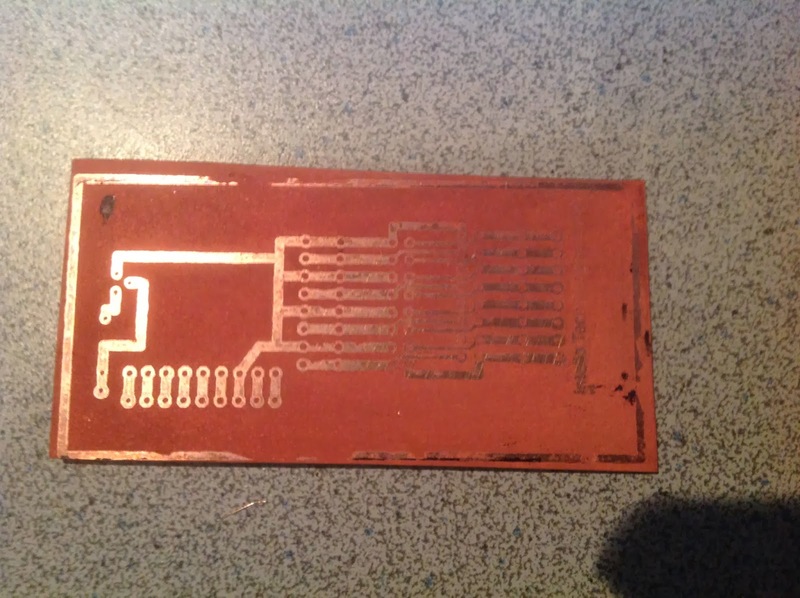 Thermal transfer was also pretty good, etching was good, but some traces shorted and some open. Might be usable. On that attempt I changed the artwork to have a ground surface. 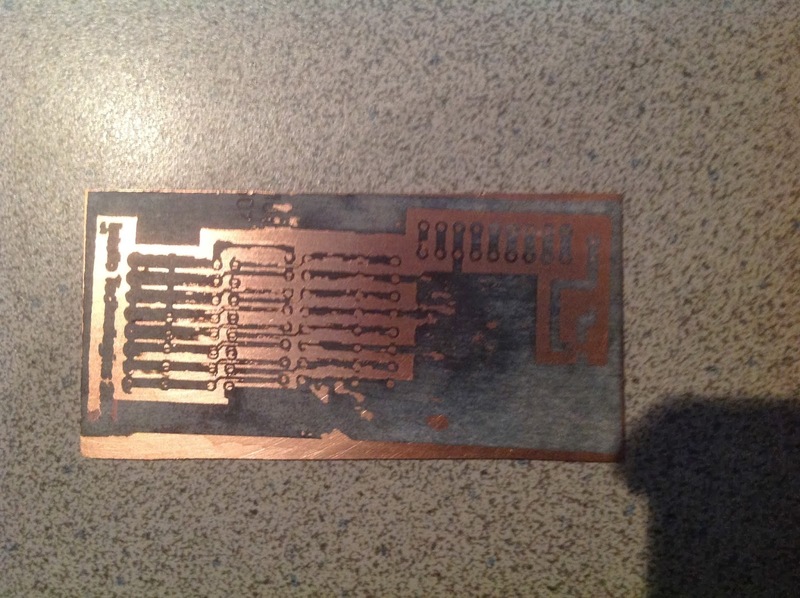 I figured that it would speed up the etching. Also did some trace in-between the pads smaller so as to avoid short. Unfortunately my paper moved while ironing... So useless to go through the etching part. This is turning out to be a bit harder that I had anticipated, but I am making progress and learning from my errors.